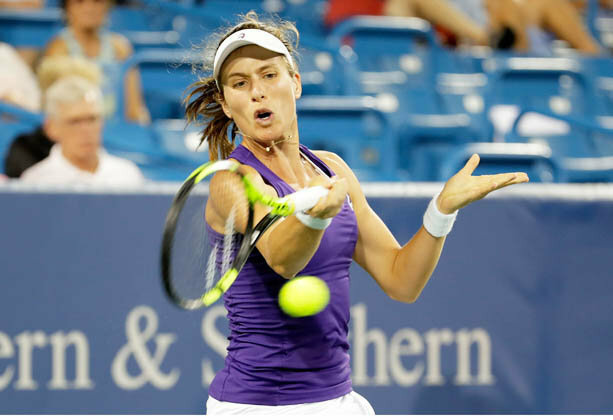 BRITISH number one Johanna Konta is through to the second round of the US Open. The 13th seed comfortably beat American Bethanie Mattek-Sands 6-3 6-3 in an hour and 21 minutes.Konta was in the second women’s match on the newly-built Grandstand arena, although there were few fans to watch as she overcame her opponent in comfortable fashion. She will now face Bulgarian Tsvetana Pironkova, a Wimbledon semi-finalist six years ago, for a place in the third round. Konta isn’t the only Brit to enjoy the opening day at Flushing Meadows. Kyle Edmund moved into the second round of the men’s tournament after stunning 13th seed Richard Gasquet 6-2 6-2 6-3.